If you want to be successful online, you need to know the ropes in the world of business otherwise you won’t get anywhere fast. The internet marketing world can be complex for a newbie because there are so many avenues available and so many tools that it can make your head spin. Often, people reach the point where they just want to give up right from the beginning because of all the learning involved. But just like anything in life, there is always a learning curve. 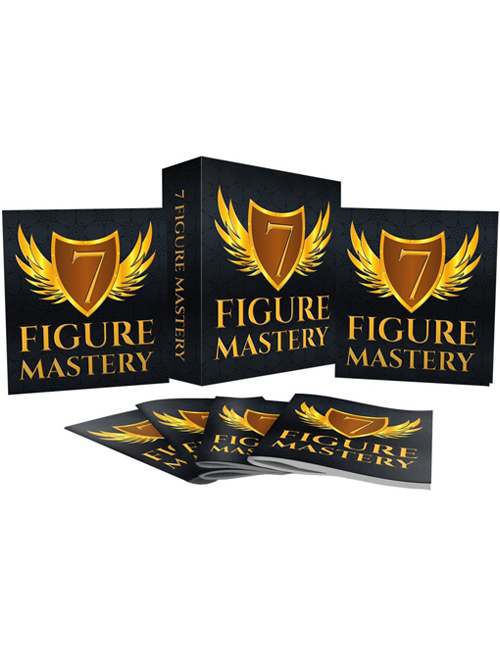 With this video course which supplements the 7 Figure Mastery Ebook version, you’re going to get an incredible 32 part visual education that takes you right from the beginning stages and throughout the vast internet marketing world. By the end of it, you’ll be master, ready to go full throttle with your own business. This course has been built especially for new marketers who are hungry and eager to learn but need guidance. You’re going to learn about sales funnels, setting up your business, affiliate marketing, niche research, copywriting, product creation and promotion, Adwords Advertising, Facebook Ads, SEO, Social Media Marketing and much much more. This is an encyclopedia of internet marketing in video form so that your learning experience will be far more fruitful. Reading is one thing but watching it on video is even better. Your education begins here so hit the download button now.